(Q24N) The streets of Argentina’s cities went white on May 10 as tens of thousands donned the iconic headscarf of the Mothers and Grandmothers of the Plaza de Mayo, who’ve never stopped searching for the sons, daughters, and grandchildren they lost in the country’s “Dirty War” (1976-1983) some four decades ago. 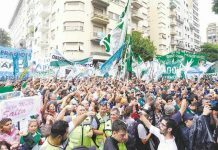 Buenos Aires saw one of the largest marches in recent Argentinean history as human rights organisations, NGOS and citizens of all political stripes flooded into the Plaza de Mayo, the country’s political heart. Organisers say as many as 200,000 people attended. They came to protest a Supreme Court decision that many feared would reinstate the regime of impunity that once supported Argentina’s six military coups (1930, 1943, 1955, 1962, 1966 and 1976). On May 3, the court ruled in a three-to-two majority decision to grant leniency to Luis Muiña, a convicted kidnapper and torturer, by invoking the so-called “two-for-one” rule. The rule holds that each year already served in prison counts as two. Muiña has completed just six years of a 13-year prison sentence handed down to him in 2011 for his role in the 1976 operation Posadas Hospital in which dozens were detained and tortured. He is now slated for release in November 2017. The two-for-one law, which was applied from 1994 to 2001, allowed early release of prisoners who’d already served significant jail time while awaiting sentencing. In granting the benefit to Muiña, the Supreme Court has now expanded its scope to include crimes against humanity. Critics say the decision could effectively commute the sentences of hundreds of people convicted of committing genocide, kidnapping and torture during Argentina’s last military dictatorship (1976-1983). Argentina’s 1976 coup, in which president María Estela Martínez de Perón was overthrown by a military junta, was the bloodiest and most devastating in its history. In just seven and a half years, 30,000 people were “disappeared”, 300 dead bodies found mangled, live prisoners dropped from planes“ and 22 public officials assassinated. President Raúl Alfonsín (1983-1989), who lead Argentina’s first democratic government, understood this nefarious legacy, and he centred his victorious 1983 campaign on restoring the rule of law. By systematically trying Argentina’s dictators and their henchmen, he hoped to rebuild society’s trust in state institutions. Later administrations sometimes regressed. In the 1990s, president Carlos Menem granted amnesty to war criminals, and under the laws of Due Obedience (Obedencia Debidea, 1989) and End Point (Punto Final, 1990) sentences were commuted and guilty generals set free (the laws were overturned by Congress in 2003). 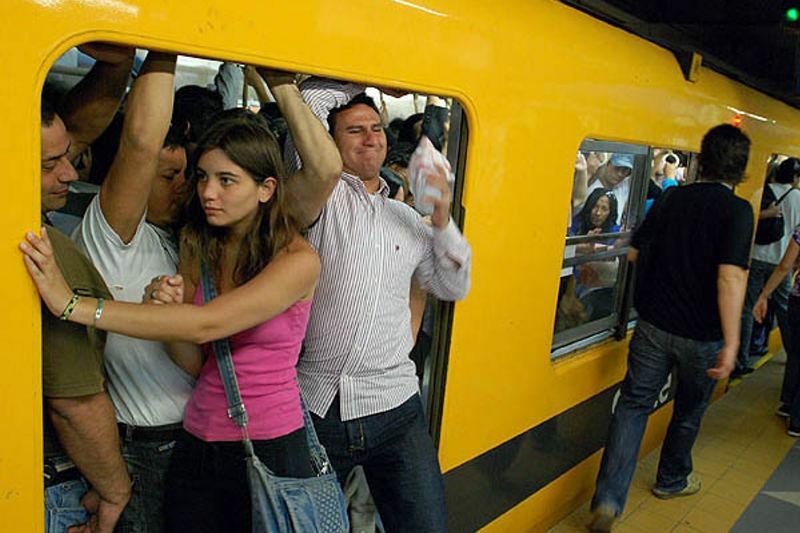 The Argentinean people, on the other hand, had learned Alfonsín’s lesson: human rights violators must be punished. Since 1983, the majority of citizens have stood by the idea that trials and punishment are critical to reconstructing their republic and righting the democratic sensibility. From 2004 onward, the courts seemed to be on the same page. Judges across the nation began examining the constitutionality of old cases in which amnesty had been granted to war criminals and retrying scores of police, generals and commanders. On September 6 2004, the Supreme Court of Appeals, Argentina’s highest criminal court, officially declared amnesty for war crimes to be unconstitutional. The process of ending impunity began in 1985, with the Trial of the Juntas, in which nine members of the military government were tried and sentenced on television; the proceedings were also printed daily in a special newspaper, Diario del Juicio. 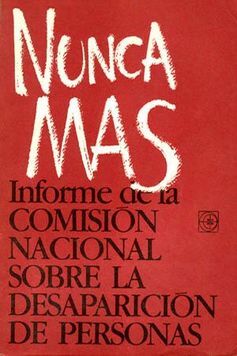 The government report that followed, Nunca Mas (Never Again) memorialised the truth about Argentina’s state terrorism, including names and aliases of those who waged war on citizens, the aberrant forms of torture they employed and the locations of concentration camps. The indicted generals never repented for their infamous actions: manning death flights, stealing newborn babies and appropriating the belongings of the disappeared. In the meantime, Argentina was quickly developing the field of forensic research and building DNA banks that would make major progress in identifying bodies not just at home but in newly democratic countries across the region. 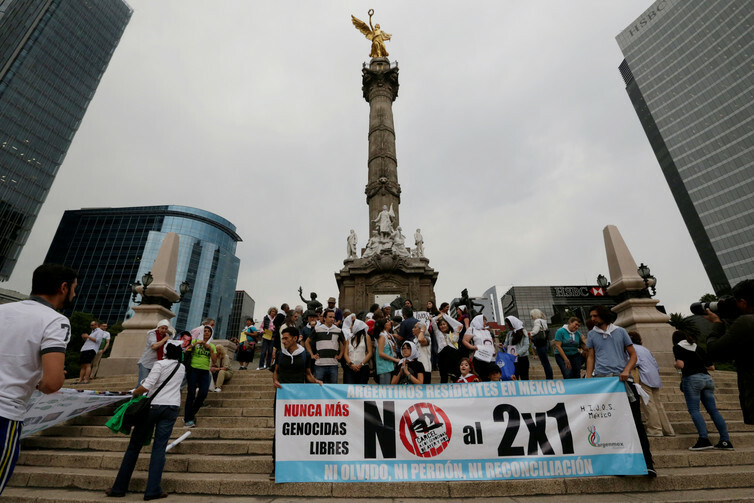 Recently, the Equipo Argentino de Antropologia Forense supported Mexico’s investigation of the 43 students who disappeared in Ayotzinpa, Guerrero, in 2014. 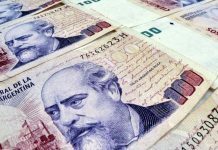 Many economic and political crises have battered Argentina since democracy returned in 1983. But throughout it all, one thing has stayed steady: the critical importance of human rights and the necessity to neither forget nor forgive those who violate them. 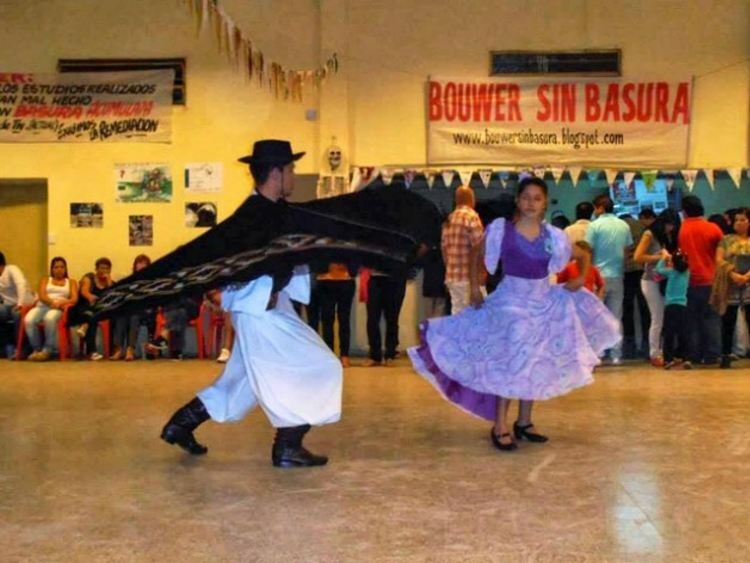 This non-negotiable commitment to punishing genocide is the DNA of the reconstructed Argentinean republic and the last bulwark of a people whose democratic governments have made so many mistakes. 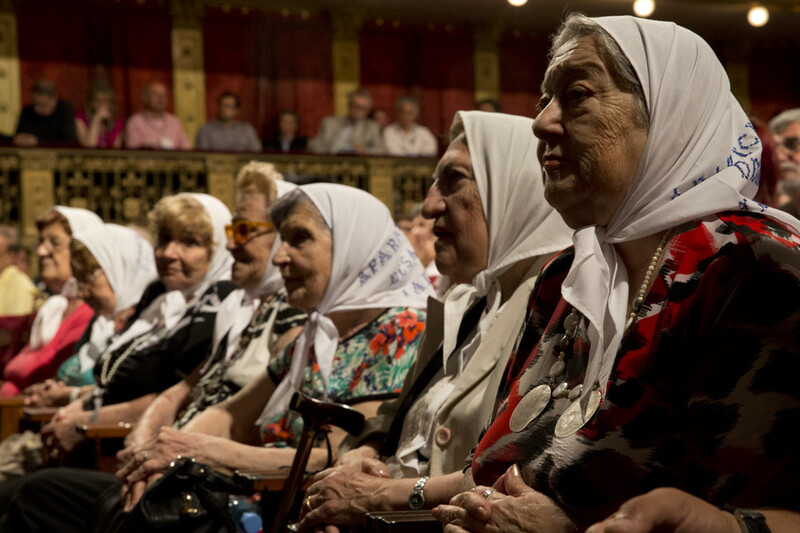 Together, Argentina has celebrated as a nation each of the 122 grandchildren recovered by the Grandmothers of the Plaza de Mayo. 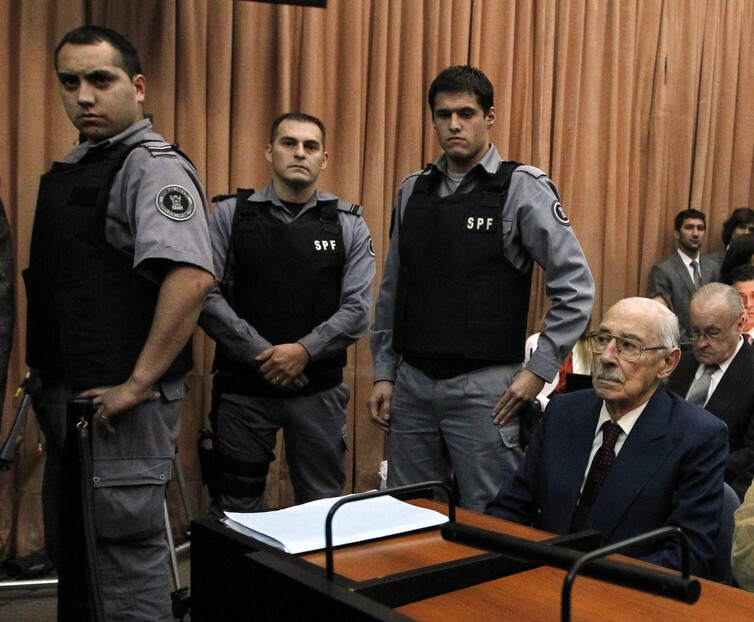 Together, citizens have raged when convicted torturers like former Buenos Aires police chief Miguel Etchecolaz, who has admitted to killing people between 1976 and 1983 but says he cannot recall how many, shirk responsibility for their actions (Etchecolaz said that “the state had the right to use force and [as] in all wars, excesses occurred”). In a country where laws are systematically violated, one norm persists: no more impunity. It was a foreseeable certainty, then, that Argentineans would repudiate en masse the court’s “two-for-one” ruling in favour of Muiña, a “Dirty War” criminal. As Taty Almeida, director of the Madres de Plaza de Mayo Founding Line, said at the May 10 protest: “Never again silence. We won’t live alongside the bloodiest killers in the history of Argentina”. These days, the people have politics on their side too. After the ruling, Congress moved quickly to pass, with bipartisan support, a bill prohibiting the “two-for-one” rule from being applied in cases of crimes against humanity. It was approved before the demonstrations took place, allowing Estela Carlotto, president of the Grandmothers of the Plaza de Mayo and a well-known face of citizen resistance, to have hope in repeating her motto of the last 40 years: “Señores judges, never again a genocider set free”. The Supreme Court erred in siding with impunity. The Argentinean people have made clear that reconciliation is not their chosen path, even when the idea comes from the Catholic Church. For Argentina, the painful history lesson of the 20th century is this: without justice there’s no republic.